with Galerie Gerda Bassenge, Berlin, 1974, no. B26. 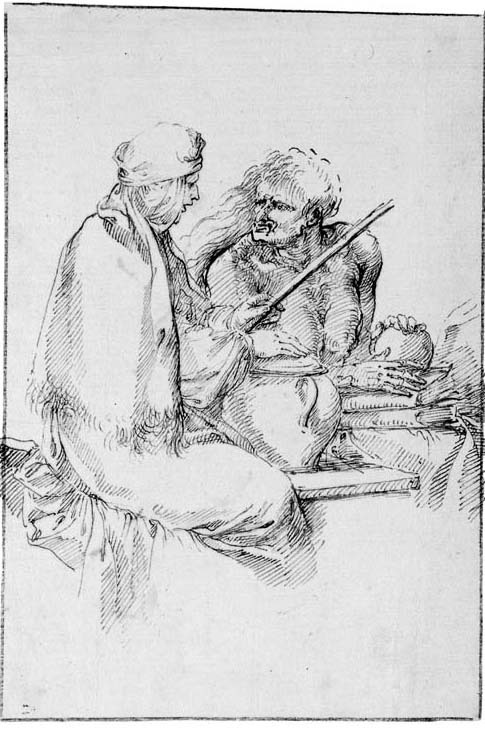 M. Mahoney, The Drawings of Salvator Rosa, New York, 1977, p. 308, no. 25.14, illustrated. Mahoney dates the drawing to Rosa's Florentine period between 1640-49. A poet as well as a painter, Rose embraced the popular fashion of the 1640s for scenes of witchcraft. Previously the Counter-Reformation and the activities of the Inquisition had discouraged depictions of the subject. Along with his friend and fellow-artist Lorenzo Lippi, Rosa wrote a poem called La Strega or The Witch, which was later set to music. Most of Rosa's witchcraft scenes were painted in Florence, a more tolerant city than Rome.